the diameter of the hole is approx. 35mm. of braiding cords together with beads to create beautiful jewellery. This Kumihimo disk is used for making kumihimo braids. at North, South, East and West points (8,16,24,32)! 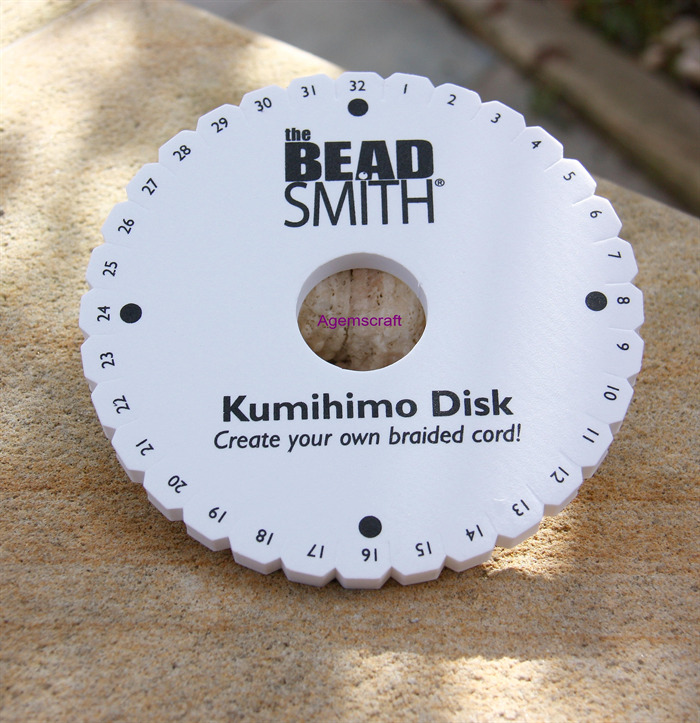 to help you set up your disk to begin braiding. 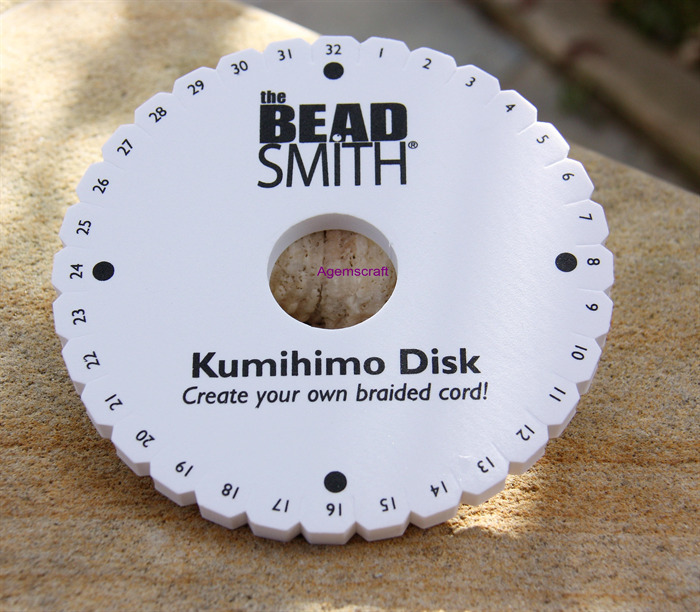 The disk is used for making round braids! For sale Disk Only - no instrustions! !